G22 is here, so we have some special events in store for you! Head on down to Caravan Joe in Dunbarton to register your main character. Once registered you can do tons of awesome challenges to receive Wingheart Coins. These special coins can be exchanged at Caravan Joe or at the Capsule Machine for some prizes, like a Fluffy Wolf Tail and more! Check out the full details below! Talk to G22 Event Planner Caravan Joe in Dunbarton to register a main character. Click on the Wingheart Coin icon to open the challenge window. Complete challenges to receive Wingheart Coins! 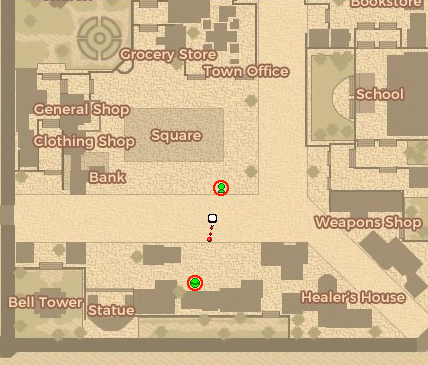 You can either use these coins at Caravan Joe's Exchange Shop or head across the street and use them in the Festia Instant Prize Event. Click on the Capsule Machine located next to the Upgrade Anvil in Dunbarton to open the Instant Prize window. Players can either use 20,000 gold or 35 Wingheart Coins to draw from the machine. Each player has 5 gold entries per day. Higher-end prizes are limited per server. Winnings show how many prizes are left per server. Every Thursday the entries will reset. This page was last edited on 8 February 2019, at 16:45.